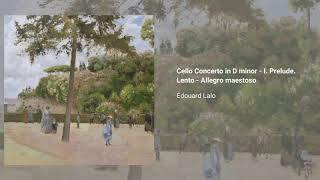 Lalo is usually known as the composer of the Symphonie Espagnole, but he composed over a half dozen of other pieces for soloist and orchestra (among other kinds of works), including two violin concertos and a piano concerto. 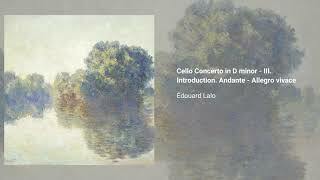 The only one of these works to have earned any kind of reputation at all is the Concerto for Cello and Orchestra in Dm, composed in 1876 in collaboration with cellist Adolphe Fischer and premiered the following year with the latter as soloist. 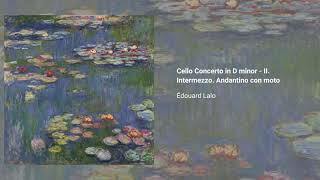 A favorite of student cellists, the work is nevertheless surprisingly and wonderfully colorful in a master's hands. It calls for 2 flutes, 2 oboes, 2 clarinets, 2 bassoons, 4 horns, 2 trumpets, 3 trombones, timpani and strings.